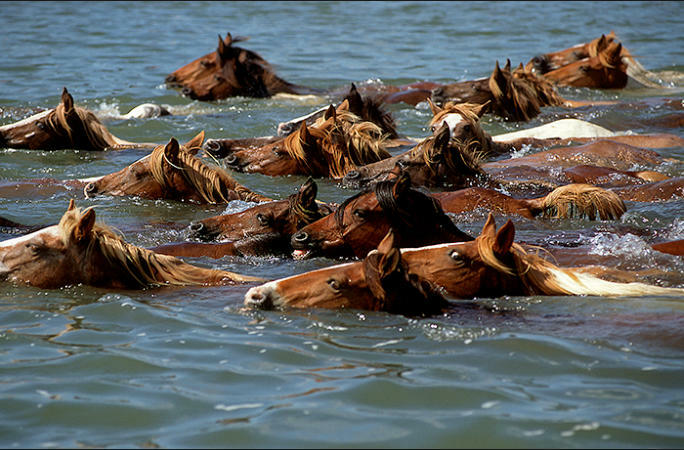 The wild horses begin their annual swim from Assateague Island, across the channel, to Chincoteague Island. 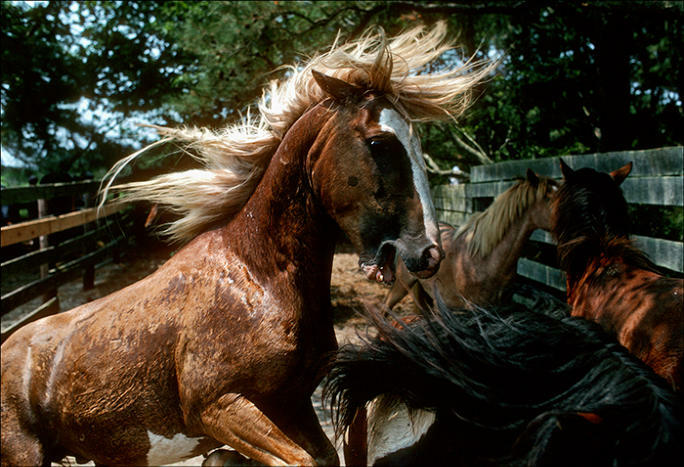 Stallions accustomed to their own territory and herd of mares in the marshes, will fight other stallions when confined in a corral. 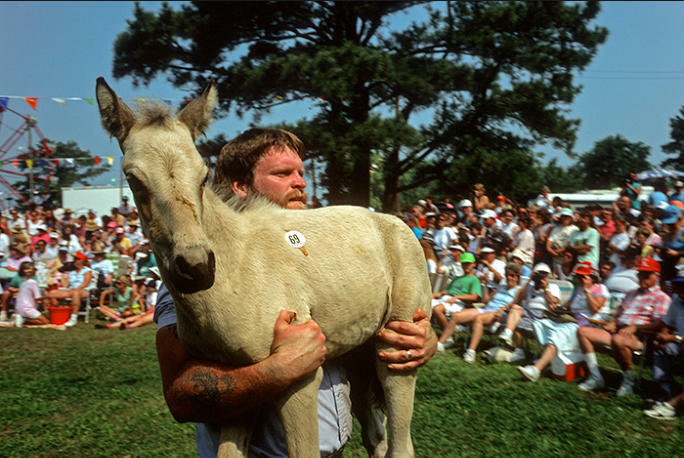 Ellis Savage holds this small but beautiful foal before a packed audience at the auction on the Chincoteague fairgrounds. 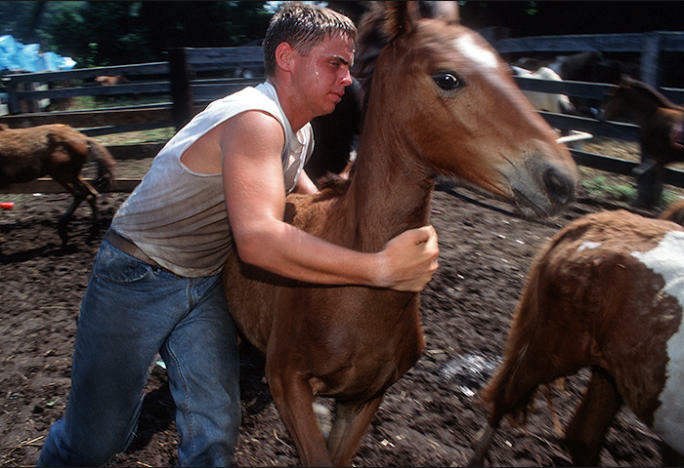 Proceeds from the sale of the foals goes to support the Chincoteague Volunteer Fire Dept. 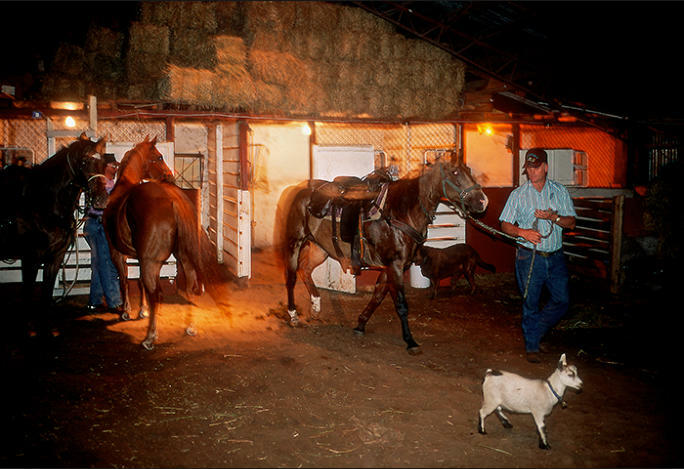 David Savage saddles up for the roundup on the first morning of 'Pony Penning' at his stable on Chincoteague. 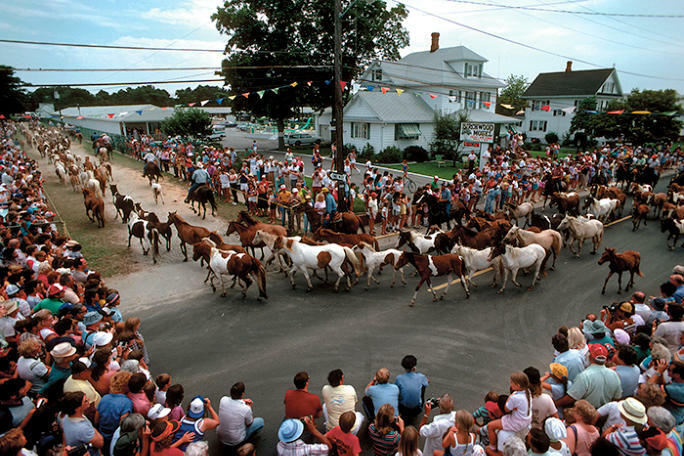 After a rest from their swim across the channel from Assateague Island, the horses are driven through the streets of Chincoteague to the fairgrounds where the auctioning of the young foals takes place the following day. 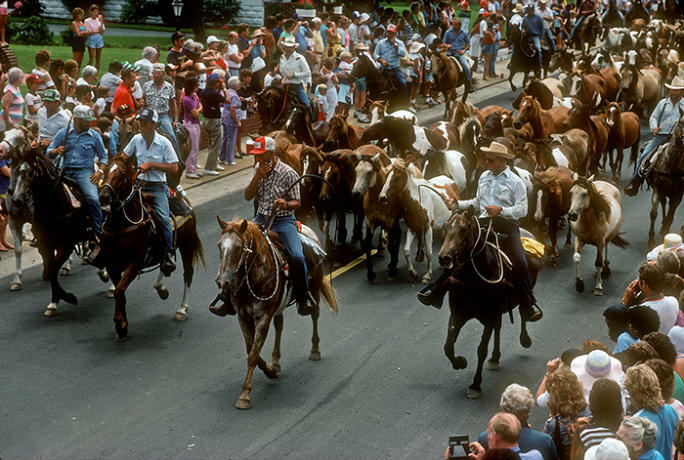 Huge crowds line the streets each year in July, to watch the horses being driven along the streets of Chincoteague to the fairgrounds where the young foals will be auctioned the following day. 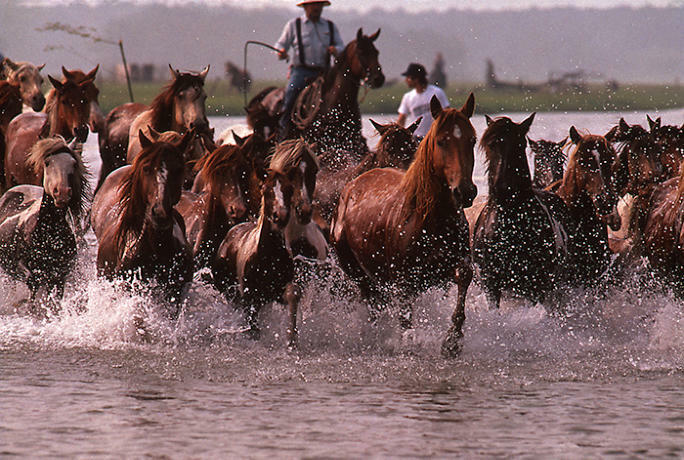 The mares and stallions swim back, after their foals are sold at auction, to live free in the salt marshes and on the beaches of Assateague Island. 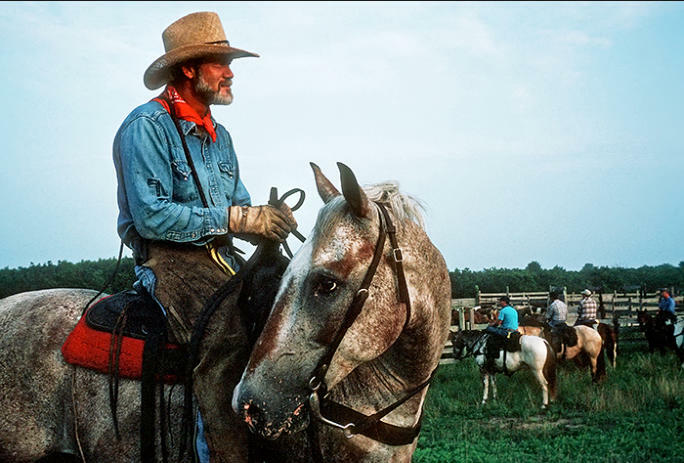 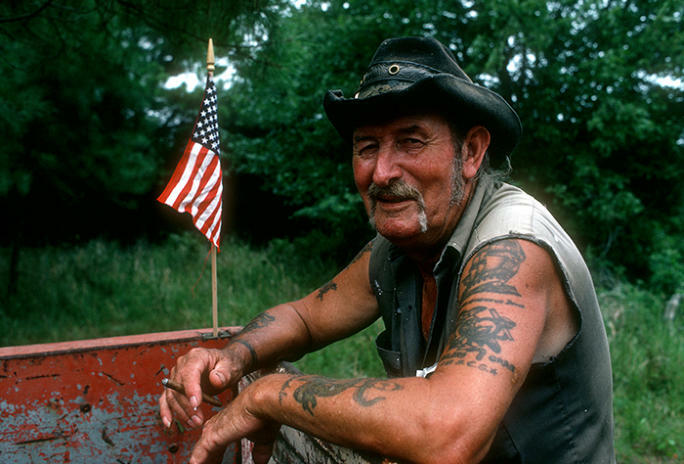 Walt Clark.......cowboy.......cockfighter......poacher.......US Marine.......a Chincoteague original......my friend till the end. 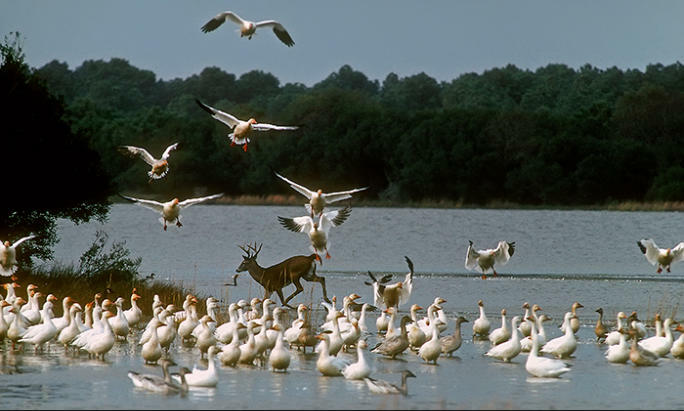 A whitetail deer charges past a flock of snow geese on Assateague National Wildlife Refuge. 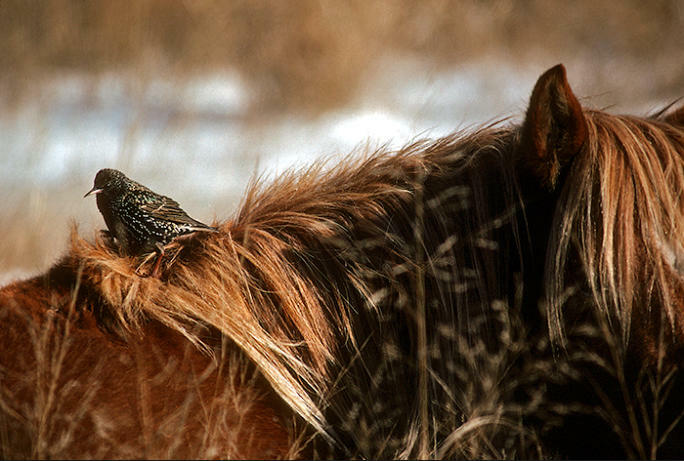 A European Starling searches for insects in the mane of a wild horse on Assateague Island. 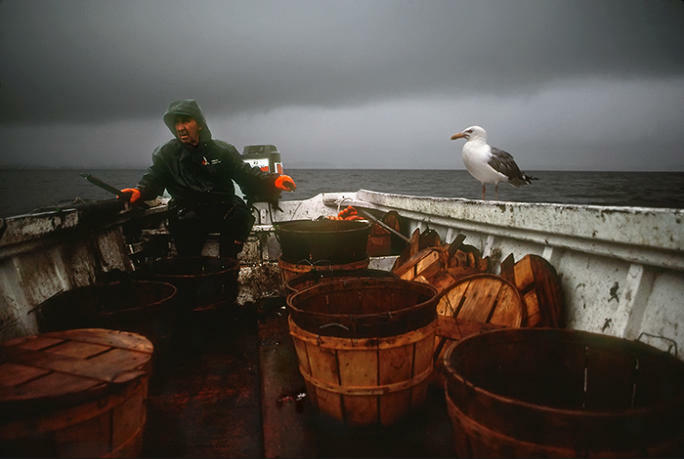 Sewell Thornton, Chincoteague waterman and his 'gull friend' emptying crab pots. 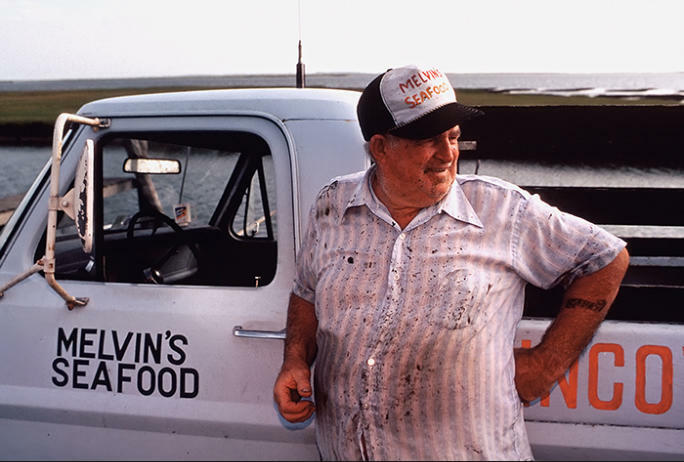 Bob Melvin...........Chincoteague waterman. 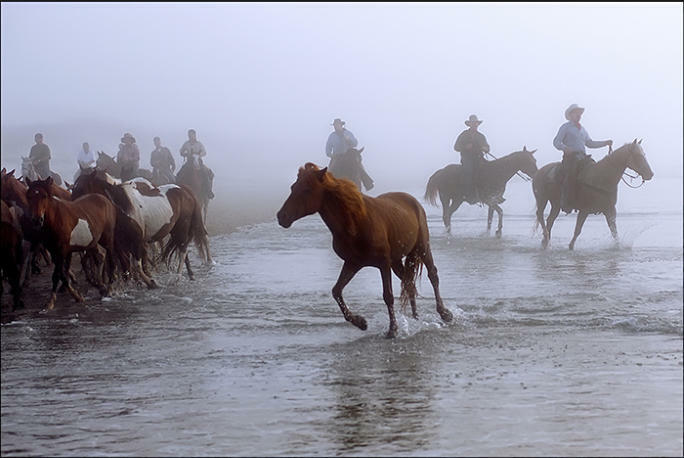 Chincoteague is known for it's world class big sweet and salty oysters, as well as the annual Pony Penning. 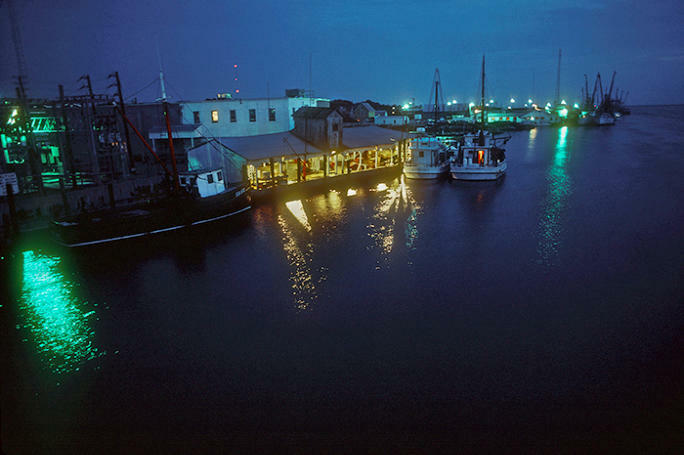 Dockside.......Chincoteague harbor and fishing boats at night. 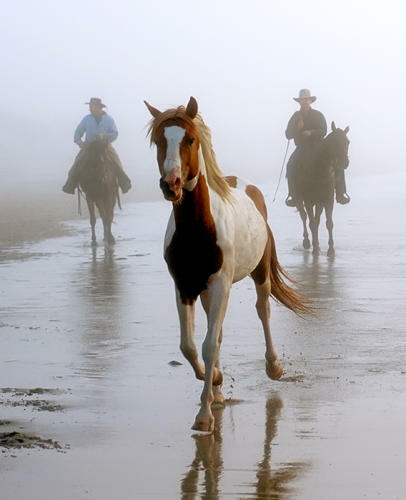 Tom Clements, Chincoteague cowboy from North Carolina, at the roundup on Assateague Island.